Virtually never offered in such a comprehensive format, we are delighted to present two complete WWII Internment Camp Token Sets - in Very Fine to Uncirculated quality! WWII internees were barred from using Australian currency, due to the fear that it may be employed in the perpetration of an escape. As a result, internment camp tokens were struck, with Penny, Threepence, Shilling, Two Shillings and Five Shillings tokens produced. As these tokens contravened the Commonwealth Coinage Act, the vast majority was destroyed at the end of the war. A few were inevitably souvenired by guards, prisoners and administrators, however, and the surviving examples are highly sought after. 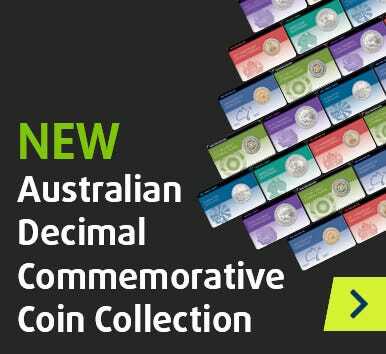 An important piece of Australia's WWII history, the Penny, Threepence and Shilling are scarce, with the Two Shillings and Five Shillings undeniably rare. It is the rarity of the higher denominations that has ensured that these Tokens are virtually never seen as a complete collection – and seldom in this quality. Featuring tokens underpinned by strong detail, and lovely original lustre, the two collections are available in better-than-usually-seen VF to Unc quality. https://www.downies.com/wwii-internment-camp-token-set-vf-unc 15254 WWII Internment Camp Token Set VF-Unc https://www.downies.com/media/catalog/product/1/6/16061opt1.jpg 7950 7950 AUD InStock /Monthly Catalogues/May Money 2018 /Collectables/Various Collectables /Themes/Military /Collectables /Collectables /Coins/Rarities /Coins & Commemoratives /Australian/Australian History /Coins & Commemoratives /Rare Virtually never offered in such a comprehensive format, we are delighted to present two complete WWII Internment Camp Token Sets - in Very Fine to Uncirculated quality!